Yesterday all 50 limited edition discs arrived from Short Run, duped and printed. I hope everyone will agree, they look fantastic! 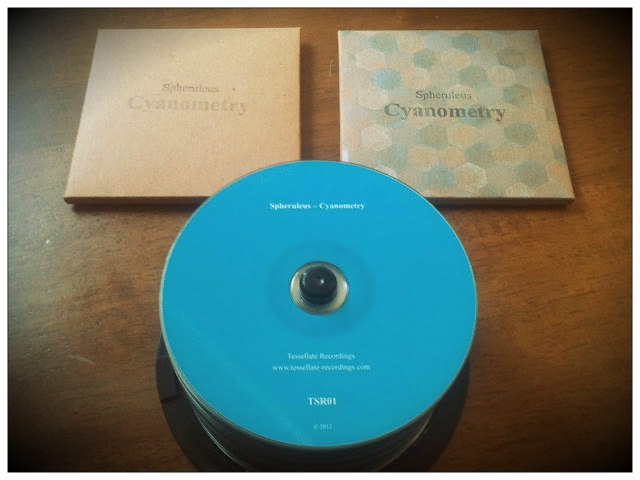 They were designed by Christian Roth, who runs the Resting Bell netlabel (www.restingbell.net). The blue colour is a photograph taken on a clear day in Christian’s native Germany, set with plain white text. Just the tracklist/inserts to print and then we’re all set for release!